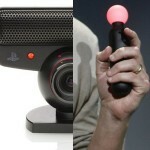 What Does Sony Have Up Their Sleeve in 2010? What Does Sony Have Up Their Sleeve? 2010 is looking to be the biggest year yet for the gaming industry, especially for Sony and the PS3 which is offering it’s most robust, blockbuster-filled line-up yet. 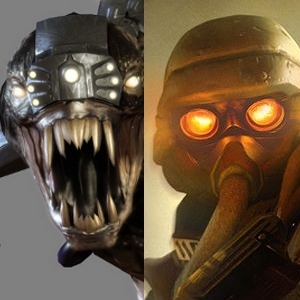 Most of Sony’s best titles, from their most renowned franchises, are releasing before summer. Gran Turismo 5 may have seen a slight delay (now projected for Summer 2010) but aside from that, Sony has many major releases coming out in the early part of the year. God of War III is due mid-March, with Sony’s newcomers MAG, ModNation Racers, White Knight Chronicles and Heavy Rain paving the way. With Sony expending nearly all of their major titles so early on in the year, what does that leave for the second half of 2010? What does Sony have up their sleeve? Sony, who is no stranger to innovation, has done a tremendous job establishing new franchises early on with the PS3, despite lagging sales. Due to this, franchises are established, engines are built, and sequels to previously released PS3 titles will be making their debut during or leading up to E3. 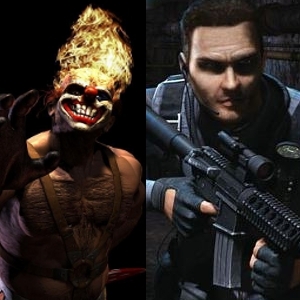 Likely candidates for a 2010 release could be Resistance 3 and Infamous 2, with Killzone 3 pointing toward a 2011 projected release. 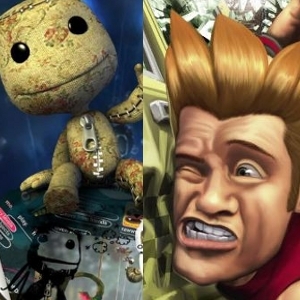 Many well-known but dormant Sony franchises could be in the works for the PlayStation 3. Long-time series director, David Jaffe, is rumored to be near completion of a PlayStation Network enabled Twisted Metal for the PS3. A listing found early last year on a PCB Productions web page, credited their work on Syphon Filter 5 for the PS3, along with rumored developer Sony Bend. The listing has since been removed. Dylan Jobe’s recently founded studio, Lightbox Interactive, has long been rumored to be working on an intergalactic version of Warhawk. Although nothing has been officially announced by Sony, a trademark for the name Starhawk popped up in April of ’09. Couple this with the fact that the website starhawkgame.com is owned by Sony. Coincidence? I don’t think so. Sony has several other franchises worthy of a next-gen update. As mentioned above, Sony is no stranger to innovation and is evident by the PS3’s “future proofing”, the company doesn’t mind taking some risks. Sony has already ushered in many new franchises on the PS3, such as Uncharted, along with the aforementioned Resistance and inFamous IPs. Sony has enough first-party development studios to churn out plenty of fresh ideas. Sony London Studios, Media Molecule, and PAIN developer Idol Minds are all said to be working on new PS3 titles. The possibilities are endless. In 2010, Sony plans to release a “wiimote- like” Motion Controller which uses the PlayStation Eye for pin-point accuracy, taking motion controls to the next level. Sony is already working with third-party developers to create games that use the upcoming motion controller. First-party devs are likely doing the same. Expect an onslaught of games that take advantage of the new motion controller to release once its ready to launch later this year. Sony may seem to have all their “ducks in a row”, releasing so many blockbuster games so early on in 2010, but Sony has more than enough unannounced and unconfirmed titles to sustain the PS3’s release schedule far beyond 2010.